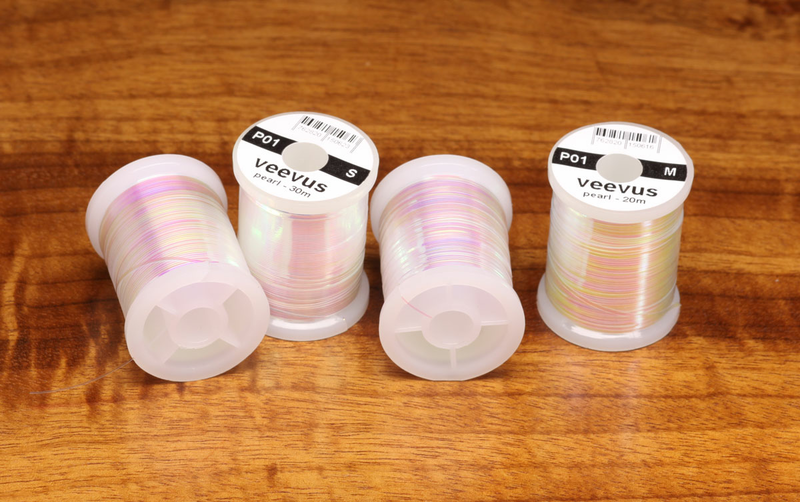 Description Veevus Pearl tinsel is flat mylar like tinsel with excellent breaking strengh. Use it for bodies and ribs, even lateral lines on flies. 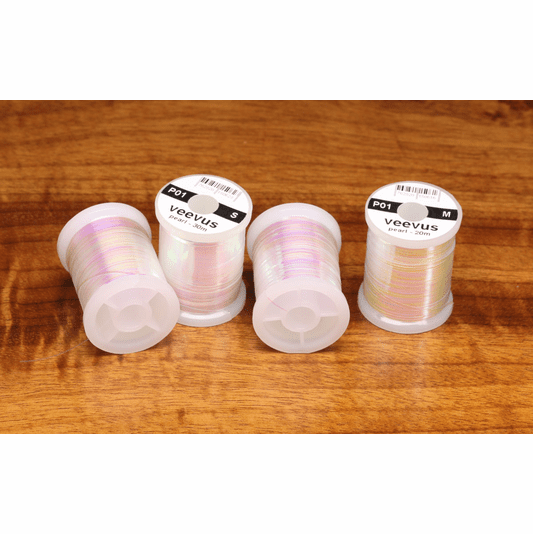 Small size has 30m per spool, medium size has 20m per spool and large has 11m per spool.